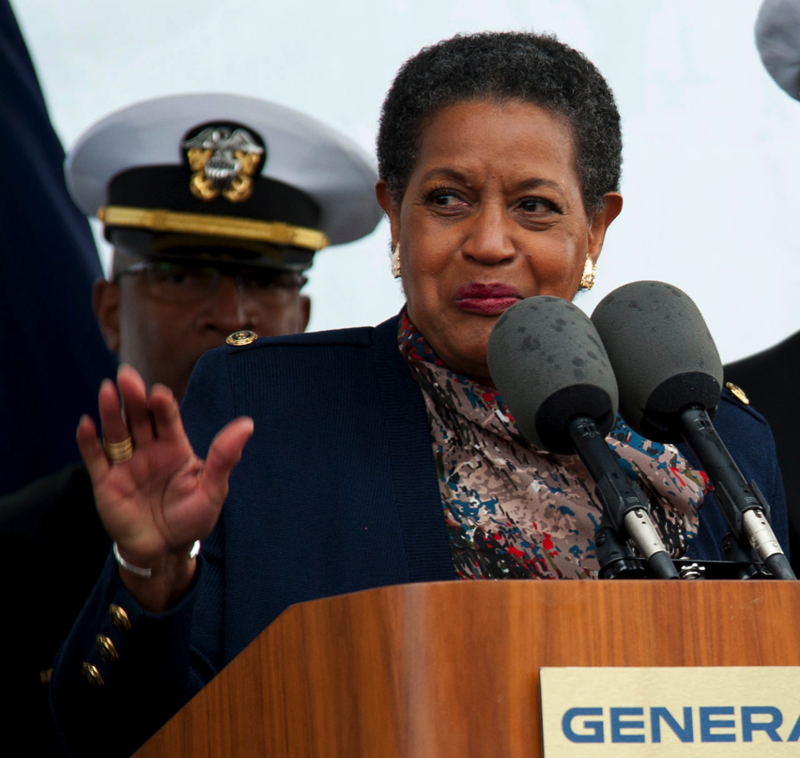 1933 – Myrlie Evers-Williams, American journalist and activist is born. Myrlie Evers-Williams is a civil rights activist and journalist who worked for over three decades to seek justice for the murder of her civil rights activist husband Medgar Evers in 1963. She was also chairwoman of the NAACP, and published several books on topics related to civil rights and her husband’s legacy. On January 21, 2013, she delivered the invocation at the second inauguration of Barack Obama. The National Gallery of Art and its Sculpture Garden are a national art museum in Washington, D.C., located on the National Mall, between 3rd and 9th Streets, at Constitution Avenue NW. Open to the public and free of charge, the museum was privately established in 1937 for the people of the United States of America by a joint resolution of the United States Congress. Andrew W. Mellon donated a substantial art collection and funds for construction. The core collection also includes major works of art donated by Paul Mellon, Ailsa Mellon Bruce, Lessing J. Rosenwald, Samuel Henry Kress, Rush Harrison Kress, Peter Arrell Brown Widener, Joseph E. Widener, and Chester Dale. The Gallery’s collection of paintings, drawings, prints, photographs, sculpture, medals, and decorative arts traces the development of Western Art from the Middle Ages to the present, including the only painting by Leonardo da Vinci in the Americas and the largest mobile ever created by Alexander Calder. 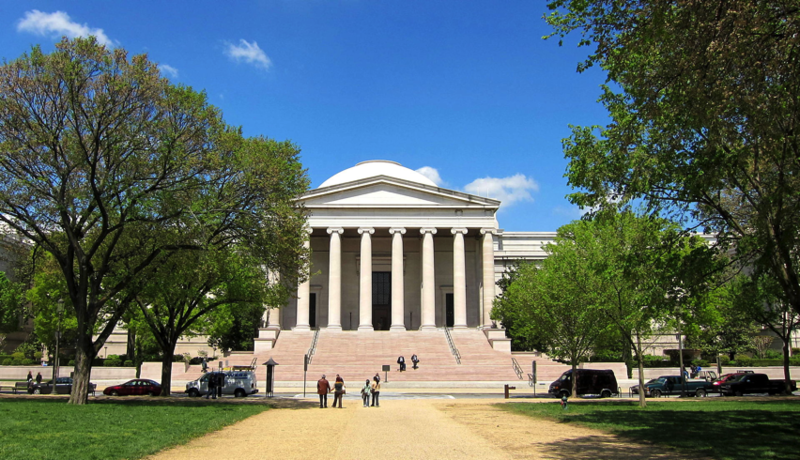 The Gallery’s campus includes the original neoclassical West Building designed by John Russell Pope, which is linked underground to the modern East Building, designed by I. M. Pei, and the 6.1-acre (25,000 m2) Sculpture Garden. 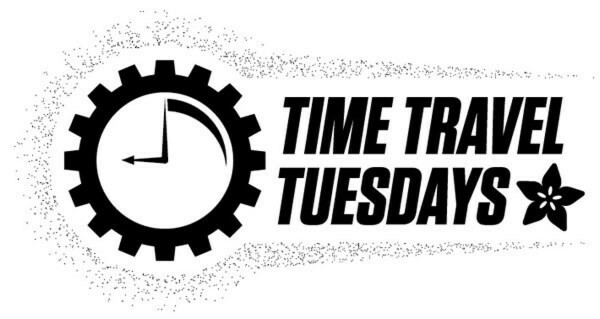 The Gallery often presents temporary special exhibitions spanning the world and the history of art. 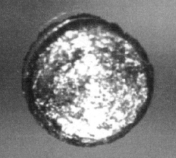 1950 – Researchers at the University of California, Berkeley announce the creation of element 98, which they name “californium“. Californium is a radioactive metallic chemical element with symbol Cf and atomic number 98. 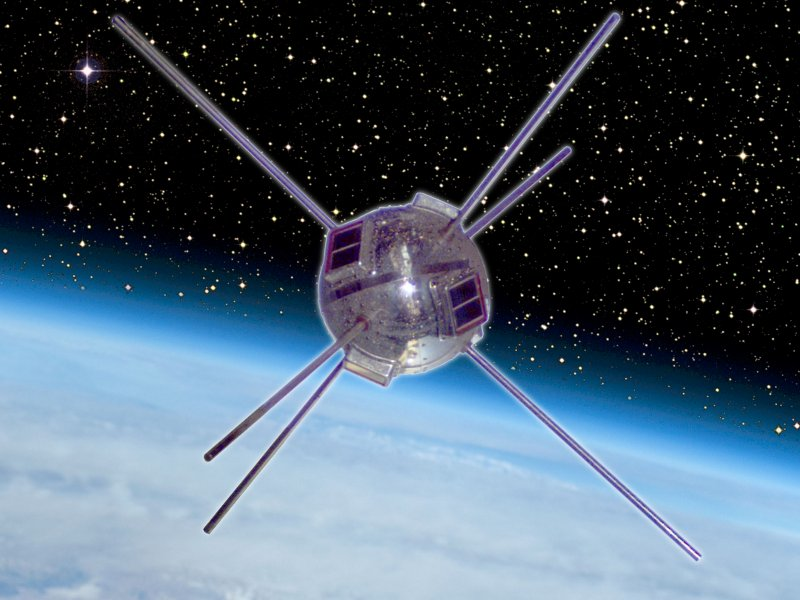 The element was first made in 1950 at the University of California Radiation Laboratory in Berkeley, by bombarding curium with alpha particles (helium-4 ions). It is an actinide element, the sixth transuranium element to be synthesized, and has the second-highest atomic mass of all the elements that have been produced in amounts large enough to see with the unaided eye (after einsteinium). The element was named after the university and the state of California. It is the heaviest element to occur naturally on Earth; heavier elements can only be produced by synthesis. 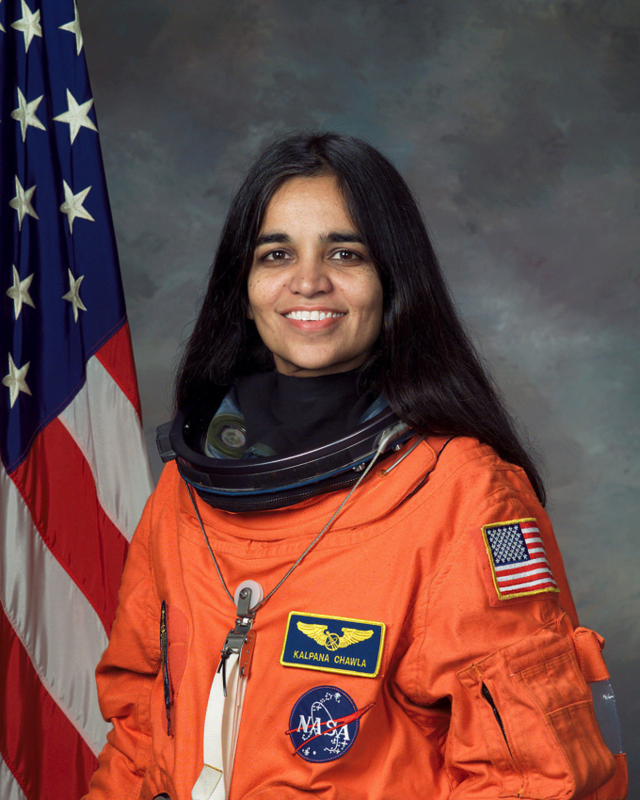 1962 – Kalpana Chawla, First Indian-American astronaut is born. Kalpana Chawla was born in Karnal, India. She was the first Indian-American astronaut and first Indian woman in space. She first flew on Space Shuttle Columbia in 1997 as a mission specialist and primary robotic arm operator. In 2003, Chawla was one of the seven crew members killed in the Space Shuttle Columbia disaster. 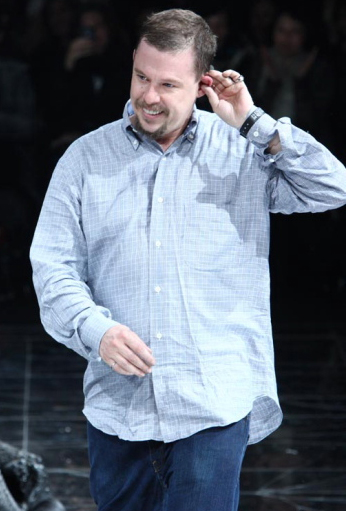 1969 – Alexander McQueen, English fashion designer, founded Alexander McQueen is born. Lee Alexander McQueen, CBE was a British fashion designer and couturier. He is known for having worked as chief designer at Givenchy from 1996 to 2001 and for founding his own Alexander McQueen label. His achievements in fashion earned him four British Designer of the Year awards (1996, 1997, 2001 and 2003), as well as the CFDA’s International Designer of the Year award in 2003. 1972 – Mia Hamm, American soccer player is born. Mariel Margaret Hamm-Garciaparra, better known simply as “Mia” Hamm (born March 17, 1972), is a retired American professional soccer player. Hamm played many years as a forward for the United States women’s national soccer team and was a founding member of the Washington Freedom. Hamm held the record for international goals, more than any other player, male or female, in the history of soccer, until 2013 when fellow American Abby Wambach scored her 159th goal to break the record. Hamm is also the third most capped female player in soccer history behind Kristine Lilly and Christie Rampone, appearing in 275 international matches. She also holds the national team record for most career assists with 144. Hamm was named the women’s FIFA World Player of the Year the first two times that award was given (in 2001 and 2002), and is listed as one of FIFA’s 125 best living players (as chosen by Pelé) being one of two women, accompanied by teammate Michelle Akers. She was inducted into the National Soccer Hall of Fame as well as the Alabama Sports Hall of Fame, the Texas Sports Hall of Fame, and the World Football Hall of Fame.